Apple's iOS 8 will bring ISO, shutter speed, and other manual settings to the iPhone camera. The iPhone is the most popular smartphone camera, and it does a darn good job at taking photos. But photographers are limited to an automatic mode, where the camera does all the thinking for the user. That’s fine for most, but that leaves advanced shooters, who like to adjust camera settings, feeling jilted. But the latter group is getting some love: at WWDC 2014, Apple announced that several changes will be made to iOS 8’s photography features, which will include full manual control of the iPhone camera. When Apple said “full manual control,” they really meant it: iOS 8 will give iPhone users access to “real” photo features such as ISO, shutter speed, focus, white balance, and exposure compensation, through custom camera applications. According to AnandTech, Apple added “gray card functionality” to bypass the camera’s automatic features, giving third-party developers free reign to offer manual camera controls. 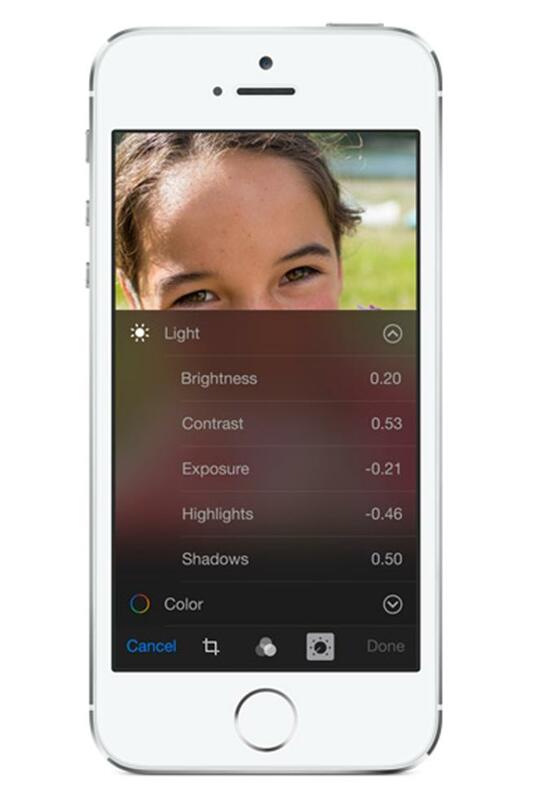 Exposure settings will come standard with iOS 8’s Camera App. Apple will allow third-party developers to add other settings in their apps. For photo purists and enthusiasts, the iPhone’s new camera features won’t replace their DSLRs anytime soon, but the smaller and lightweight smartphone makes it a stronger casual camera for everyday shooting. As AnandTech points out, these new features will give iPhoneographers so many more options when composing their images. Apple’s iOS 8 won’t go live until this fall, so we’ll have to wait-and-see what third-party developers might have in store for the iPhone.